Answer: At a former job with a Fortune 500 company, my group's work was to visually represent experiences with the company in the form of a map. So we would say, "Hi, Customer. What's it like to be a customer of ours?" I took their responses and made it a visual map. 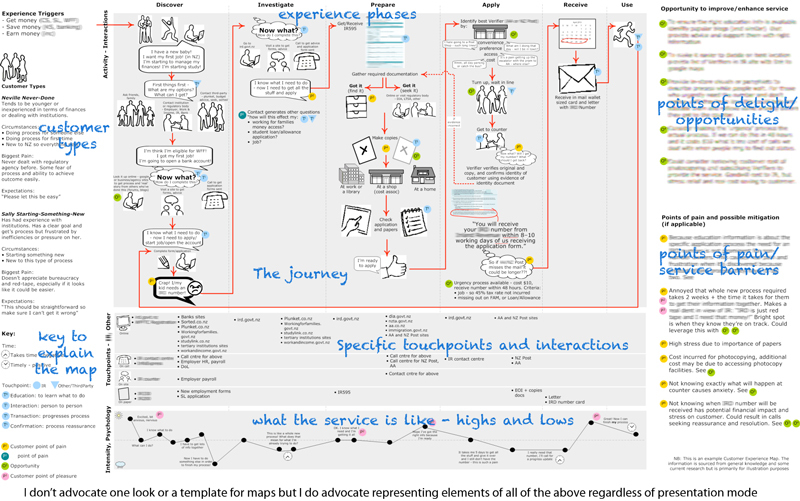 This is an example of an experience map, thought not the ones I worked on which are proprietary and I can't share them. My job was to represent the experience in words and pictures. Question: So you get paid to doodle? Answer: Um...no. I get paid to take your huge conversations and ideas and bake them together in an easily-understood cookie. It might look like a doodle but it's so much more useful than that. Question: Do you just listen at the meetings or do you facilitate as well? Answer: I do both. Whatever the client needs, I can do.